I'm interested to see how Revit MEP handles IFC files (other than faceted brep/mesh) shape representations, as it can make the file much more compact and efficient. Fitting such as elbows/bends can cause large problems if these "coordination" shape representations are used. 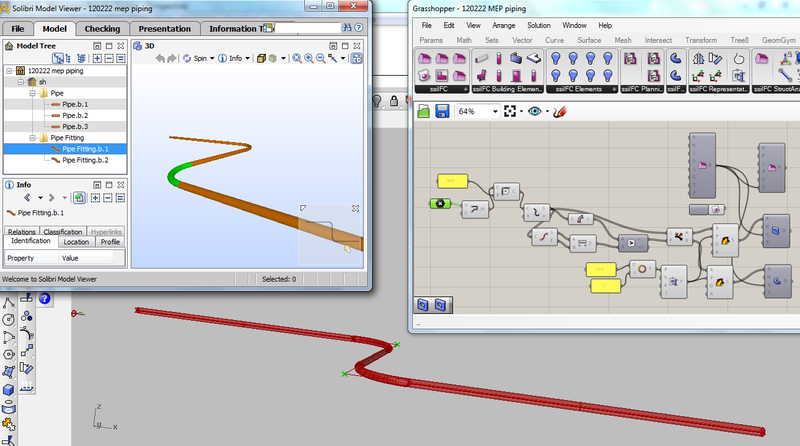 Here's my example model that you can download as Grasshopper model or IFC file to test yourself. I look forward to hearing the results.